Bob Corker’s actions resemble a youthful baseball team. Young baseball teams are notorious for looking like possible World Series contenders one game and then the next looking like they should be playing in the minors. Corker has earned the nickname “Bailout Bob” and was very outspoken during the auto-bailout in 2008. One day you love him, the next you are left scratching your head wondering what he is doing. However, for the majority of time that Senator Corker has been in Washington he has been a very consistent conservative. 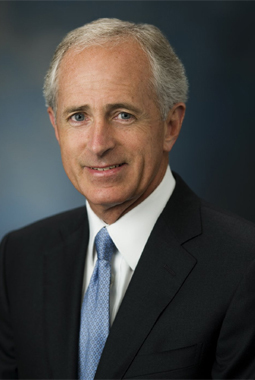 The American Conservative Union rated Corker as a “true conservative” in 2009. But just when you think Corker is a solid conservative he goes and starts trying to cut deals with moron Senator Chris Dodd. Dodd, who besides being increddibly unintelligent is also extremely liberal (isn’t it funny how those two usually go together). Corker and Dodd tried working together on financial reform legislation which as a HUGE shocker didn’t go very well. Back in May of this year Corker became popular with many conservatives when he went right at Obama and “hit a nerve” with the teleprompter in chief…I mean Barack. This was great to see and it was great for the Senator because it garnered support for him not only in Tennessee, but in the U.S. as a whole. You can watch the speech below or read his remarks here. Hopefully Senator Corker will have more appearances like the one above and less bailout embarrassments.